Welcome to the Camping & Gites GR 10. 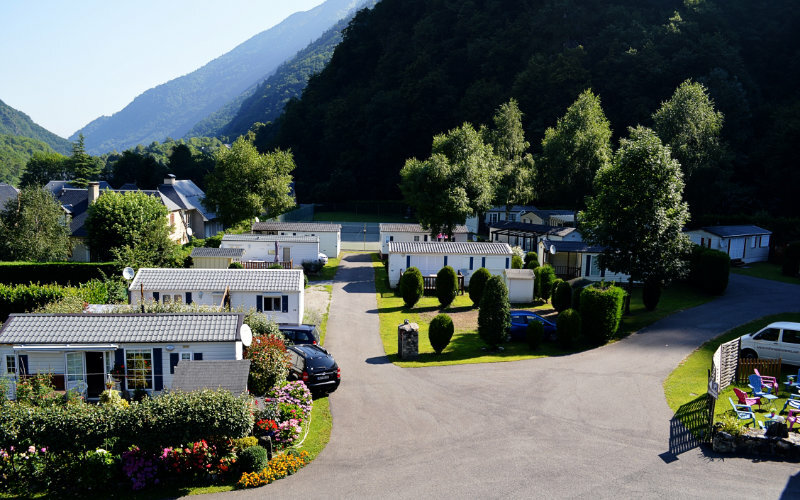 Our spacious 3-star campsite, our cottages and our mobile home are waiting for your Week-End and Holidays in the Pyrenees. We are located in Cauterets near the Pyrenees National Park, an exceptional place of tranquility where landscapes and extraordinary colors change according to the hours and seasons. In summer, discover our waterfalls, lakes, valleys, and the highest peaks Pyrenees. On site try the Via Ferratta & Tyrollienne “Alias”. In winter, the Pont d ‘Espagne and the Cirque du Lys with exceptionally good snow conditions open their doors. It’s a paradise for skiers 15 minutes from Cauterets. With 45 large pitches of 100 m² there is room in our campsite in Cauterets. Cozy cottages on the farm, regional style, to accommodate 4 to 10 people. A recent mobile home, for 4 people, equipped with all comfort with views of the Pyrenees. For a holiday with family, friends for your holidays or weekend, our campsite will offer you wonderful memories. As experienced mountaineers we are good tips to prepare your hikes, bivouacs, raids and discover our lakes, waterfalls and high peaks of our beautiful Pyrenees mountains. 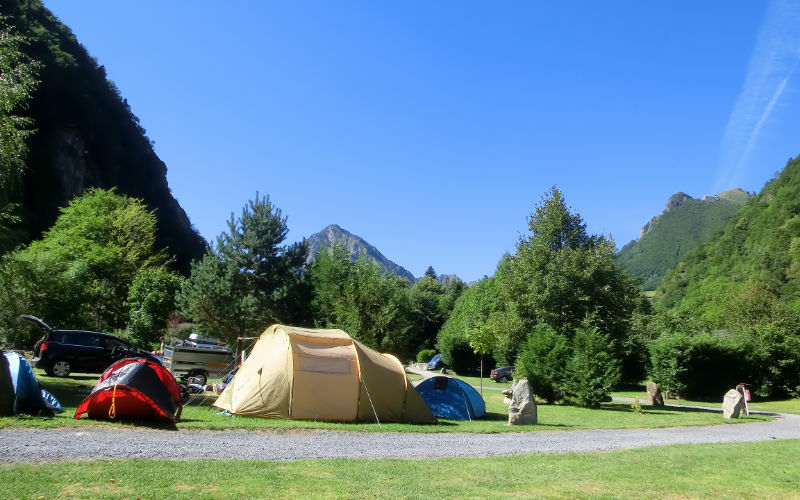 From our campsite you have access to the greenway, on foot or mountain bike, to reach the village of Cauterets upstream 2.5 km or downstream to descend to Lourdes. Located 200 m from the Gave de Cauterets and 2 km from the Pyrenees National Park, there is something to have fun. You can also plan a trip to the Pic Du Midi or The Cirque Of Gavarnie classified World Heritage by UNESCO. The Cauterets Valley is a huge open-air playground. If you have adrenaline cravings you can try the courses hook branches, via ferratas, climbing or canyoning with the advice of 2 Guides of High Mountains. If you are quieter you can enjoy unique panoramas and hiking trails that only the Pyrenees and its National Park can offer. Nordic skiing on the domain of the Pont d’Espagne with more than 36 km of slopes, discover the first Freestyle Snow Park supported by Oakley in winters. In summer the Cirque du Lys slopes are specially equipped for mountain biking. Thanks to the Lys gondola lift and the Barbat chairlift, you will reach the summit of the Cauterets ski station culminating at 2400 meters. Or discover the famous spectacle of the Donjon des Aigles further down the valley. For a good time, relaxation or more excitement, there is what you need in Cauterets in the Pyrenees: bar, breweries, tea rooms, concerts, DJ’s evenings, sporting events. You will find your happiness. 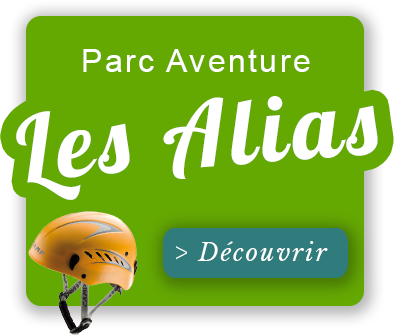 The adventure park of Via Ferrata Les Alias in Cauterets and its waterfall Tyroliennes are waiting for real aerial and fun sensations in the Pyrenees. Enjoy a unique experience: A picnic on a suspended table! On this side the village of Cauterets is not left out. Depending on the period, exhibitions such as “WILD LIFE DAILY”, art workshops to discover pointillism or make-up for children, theater, city tours are organized. There are no limits to Cauterets ..
Our campsite is quiet, close to the city center of Cauterets. You will find a multitude of restaurants that will welcome you as a family or as a couple. There is something for every taste.